Since its founding in 1948, The Utah Law Review has remained committed to publishing leading scholarship that contributes to national legal discourse and to prioritizing the needs of its authors. To those ends, the volume twelve e-board set a goal to improve the law review’s online presence. 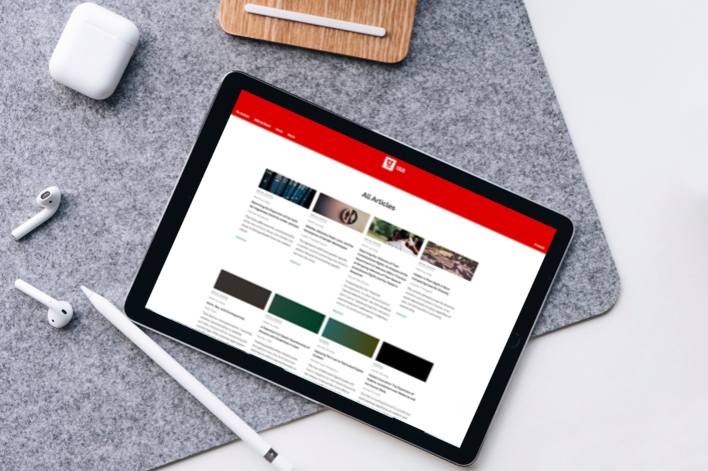 The editors sought to amplify the work of authors and to provide a more immersive experience for readers by making the law review’s website more user-friendly and engaging. With a board transition not far off, the editors knew they needed to choose a publishing platform that would be easy for them to learn to use and to hand off to the incoming e-board. After considering the available options, they decided to use Scholastica’s publishing software. In the below interview, Utah Law Review Editor-in-Chief Jen Joslin discusses why they chose to use Scholastica’s publishing platform and how they’re developing the law review’s online presence. Can you share where Utah Law Review is today in terms of fulfilling the mission and vision for the publication? JJ: Last year we set a goal to increase and improve our online presence. We want to be visible, relatable, and accessible. Most importantly, we want to amplify the voices of the authors that publish with us. Hosting our website with Scholastica was an important first step. We’re also working on developing a more active Twitter feed (follow us @UtahLawReview), and we plan to do more to highlight the students that staff Utah Law Review. We’ve got a lot of room to grow, and we’re glad to have a new website that we can use to propel that growth. What are your top priorities for Utah Law Review in terms of improving your online presence? And how did those factor into you looking for a new website design and hosting option? JJ: We knew we needed a design overhaul, and we also knew we needed something flexible and intuitive. That’s why we went with Scholastica. We loved the clean, modern design, and we loved the powerful and intuitive platform behind the design. The system is easy for our staff to operate, so we’re confident that the website will weather board transitions seamlessly. The platform enables us to publish articles that are visually appealing and readily accessible. And again, that serves our most important goal: to amplify our authors. The system is easy for our staff to operate, so we’re confident that the website will weather board transitions seamlessly. What made you decide to host your website via Scholastica and what has your experience been like thus far? JJ: We were thrilled when the College (@sjquinney) agreed to host our website with Scholastica. Since then, we’ve enjoyed small victories like using a new and intuitive domain name: utahlawreview.org. We’ve populated the website with our most recent issues, and we’ve tweaked some of the customizable elements. Our experience so far has been smooth, but we feel like we’ve just cracked the surface. We’re excited for the newly elected board to continue building the site. How do you anticipate using Scholastica for website hosting will impact your online presence and engagement? JJ: We hope that a quick Google search will lead readers to utahlawreview.org. From there, we hope readers and authors will get a sense of our mission, our personality, and the quality of scholarship that we publish. We anticipate that Scholastica will be an effective and engaging way to deliver those messages. What’s next for Utah Law Review? Are there any new initiatives the e-board is focused on? JJ: Utah Law Review has always maintained two primary goals: to publish timely and bold legal scholarship, and to treat authors with respect and commitment throughout the publication process. We hope that by improving our website and becoming more active on social media, we’ll reach a broader audience. We hope that authors will be excited to work with us and feel confident in our editorial process. We hope that readers will find new and important ideas in the work that we publish. And we’ll keep innovating to serve those goals. Leora Eisenstadt, assistant law professor at Temple University, discusses her research on flaws in the way the legal system handles assault and harassment cases, which cause many victims to feel suppressed from seeking justice, and ways to bring about reform. There are two sides to law review submissions - the author and the editor experience - both of which have their ups and downs and plenty of opportunities for a little humor to lighten the mood! In a recent paper titled Class Contradictions in the Civil Rights Movement: The Politics of Respectability, Disrespect, And Self-Respect Harold McDougall, professor of law at Howard University, looks at how the civil rights movement has progressed over time and the challenges activists still face. Harold McDougall, professor of law at Howard University, analyzes why some social justice movements gain more momentum than others and what's needed for movements to engender lasting change. NCLR offers law reviews and those working with them a fantastic opportunity to learn about best practices and trends in the law review publishing space. Here's what we're looking forward to. Here are the most common bases your law review needs to cover to make sure you're prepared for spring submissions.